Civil litigation is one of the hottest legal practice areas today. While the media portrays litigation as fast-paced and exciting, litigation often drags on for years and the work can be mundane and tedious. Below are a few of the disadvantages of working in civil litigation. For the full picture of litigation employment, review Part I of this article which discusses the pros of a litigation career. Because all litigation cases follow the same basic path, the work can become monotonous and repetitious. 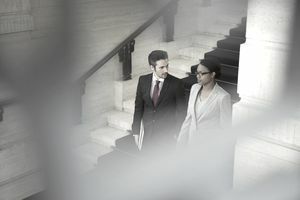 While many litigation tasks, such as client advocacy and trial testimony, are challenging and exciting, litigation also entails routine and repetitious duties. Tasks such as routine research and preparing demand letters, medical chronologies, case timelines, non-party requests and deposition summaries can be extremely time-consuming, mundane and tedious. Litigation is latent with deadlines and tasks that must be performed on a daily basis, so you must thrive in a fast-paced, sometimes chaotic environment. Litigation filing deadlines and approaching trials will force you to assess, prioritize and juggle multiple priorities, and the list of fires to put out may seem endless. You must be organized, methodical, a fast learner and work well under pressure to excel in a fast-paced litigation environment. Let’s face it, not every client is an ideal one. Society presents a myriad of individuals who require legal representation and some clients are more fun and interesting to interact with than others. During the course of your litigation career, you will inevitably handle cases and attend trials on behalf of clients that are demanding, difficult or unresponsive. Litigation is not an express route to a resolution. Typically, it takes one to three years for a case to reach trial. During that time, clients can grow impatient, bored or frustrated. Clients will need to be assured and reassured that their cases are progressing as they should be and all deadlines and issues are being handled appropriately throughout the litigation pipeline. Not everyone enjoys the “sport of kings.” Some people aren’t well suited to work in an area that involves conflict between two or more parties. Since litigation always involves two sides, it is inherently adversarial. In certain cases, the opposing counsel or client can be difficult to work with. Some individuals prefer commercial or transactional work over litigation because it is less conflict-ridden. In certain areas of litigation, such as personal injury, product liability, family law, and medical malpractice, attorneys often work on a contingency fee basis. In a contingency arrangement, the law firm only makes money on a case if it settles or wins a verdict at trial. One of the inherent disadvantages of working in litigation from the plaintiffs’ side is that you sometimes lose. It is feasible that you will litigate a case for years with no compensation at the end of the long haul. On the flip side of plaintiffs’ work, those working from the defense perspective must track all of their billable time and meet daily, monthly and yearly billable quotas. Compensation is typically dependent on your billable hours. It can be stressful to account for every minute of your work day and bill the expected number of hours, especially if you are out of the office for any length of time due to an illness, FMLA leaves or personal time or if you lack adequate work to meet your quota. Deadlines and approaching trials require lawyers, paralegals, and legal staff to work long hours. These hours may far exceed forty hours in a given week, for weeks on end, including evenings and weekends. If you have personal obligations or pre-planned vacations, you may be required to reschedule them to suit the firm’s trial calendar. Long hours can be burdensome, create conflicts with personal activities and impede a positive work-life balance. The fast-paced litigation field is a breeding ground for stress. Attorneys, paralegals and legal staff can become agitated, frustrated and snappy, and that stress can have a trickle-down effect within the firm. You must develop a thick skin and not take stressful interactions with others personally unless there is a good reason to do so. Stress and the human reactions it produces come standard with the territory. If after reading this list of cons, you feel litigation may not be a career path ideally suited for you, then perhaps you should consider the areas of real estate, tax, business, securities, intellectual property, trade secret law or other areas of law that fall within the transactional realm. These areas entail less conflict, but still provide many of the same benefits, the opportunity for professional growth and career perks associated with litigation work. Jamie Collins is the founder and owner of The Paralegal Society™, and writes for a paralegal-pointed column.